The Tax on the Increase of the Value of Urban Land is regulated by Articles 104 to 110 of Royal Legislative Decree 2/2004, Ley de Haciendas Locales (LHL). Article 104 LHL taxes the increase in the value of urban land as a result of its transfer. However, the IIVTNU does not depend on the value of the sale or purchase. Thus, the council in which the property is located does not take into account whether or not an increase in its value has occurred. It simply proceeds to taking as base the cadastral value of the land and multiplies it by a coefficient depending on the number of years that property has been owned and, in addition, by a tax rate that is contemplated in the municipal ordinance of the tax (which develops locally the LHL). 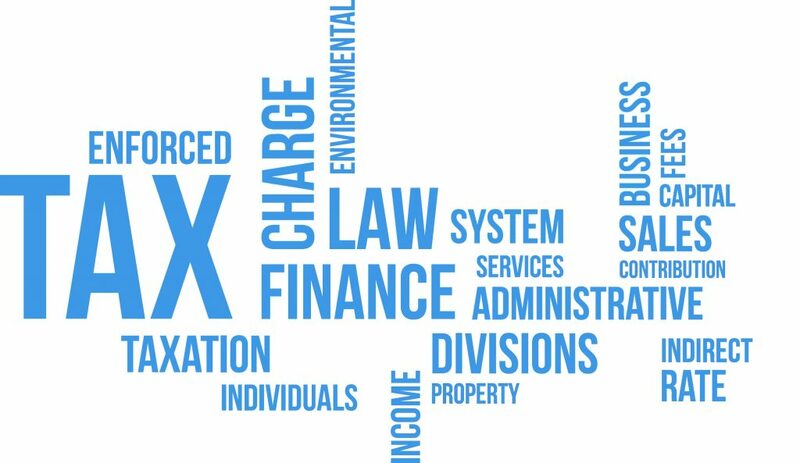 Therefore, it is a direct tax that taxes the increase of value experienced by the urban land, which is the first element of the taxable event, so that if there is no such increase, the tax will not be generated. However, article 107 LHL establishes that said tax is an automatic, indirect, and independent tax to the wealth or loss generated. The system of calculation of the IIVTNU’s tax base (percentage on cadastral value, increased proportionally for the years in which the transferor has been owner, with a maximum of 20 years) causes that the value of the property always increases with the years, when reality is different. Even if the property is transferred for a lesser value to the acquisition, the IIVTNU continues to be applied, accruing and being paid, resulting in a frontal collusion between the articles of LHL 104 vs 107. Thus, the result was always positive and had to be paid, although the property was sold below the purchase value, i.e., suffering a loss of equity. More unfair has been the case of those who lost their homes for a foreclosure, who, in addition to losing their home, have seen the City Council on duty claiming the payment of the supposed gains, until Royal Decree-Law 8/2014, July 4, which, considering the social scandal, established an exemption from the payment of the tax for those who lost their home through foreclosure or payment in kind (dación en pago). However, this exemption was only applicable to cases in which the property was the habitual residence and owned no more assets. Reversal of the burden of proof in favor of the transferor in the liquidation of the IIVTNU. It’s never too late. For months, the Tribunals all over Spain are demanding that, in order to proceed with the settlement and payment of the IIVTNU, there must actually be an increase in the value of the sold land. Many courts have resolved that, when there is no equity gain, despite the content of the rules for calculation of the tax of art. 107 LHL, the tax liability cannot arise due to lack of the essential element of the taxable event established in article 104 LHL, considering that this article prevails vs article 107 and 110.4 LHL, in cases of transfers with equity loss. Very fresh judgments, among others, and in particular, Judgment nº 520/16 of the Contentious-Administrative Chamber of the TSJ Valencian Community, of September 14, 2016, has stated that those Deeds, the deed of acquisition of the property and the later of transmission, constitute sufficient evidence to prove the lowest value of the transmitted land. not requiring the vendor to submit any other evidence or document, to prove the loss of value of the land. Therefore, the burden of proof is from now on reversed, and it is the Administration itself, if intends to claim Article 107 of the LHL and charge the IIVTNU, that must prove the increase in the value of the land and, consequently, the existence of the taxable event. The automatic application of the standard is no longer legally possible. And now, the Constitutional Court. With the real estate crisis, many homeowners were forced to sell their house and had to do so assuming significant losses, and also, were forced to pay the IIVTNU, sometimes for high amounts. Many turned to the courts, initiating a long ordeal. On February 17, 2017, the TC has issued a ruling on the first of a series of appeals on this matter, declaring the IIVTNU null and void in its understanding that it is against the principle of economic capacity to tax when the sale of the land has not provided profits. In its sentence, it affirms that «in no case can the legislator establish a tribute taking into consideration acts or facts that are not exponents of a real or potential wealth». In this way, the Constitutional Court ends a very controversial issue in the courts, whose unequal interpretation allowed the municipalities to continue claiming an unfair tax for the taxpayer. The ruling partially considers a question of unconstitutionality raised by the Court of Administrative Litigation of San Sebantian, in relation to several articles of a regional law that regulates same tax. As this regional rule that regulates the capital gains is a copy of the state regulations in this matter, would also affect this. The AEAT, on the other hand, asserts that the ruling only affects the taxpayers of Guipúzcoa, because it has ruled about their regional law. But the TC will soon resolve very similar resources against the state law of the same tax, which will consolidate its doctrine and open Pandora box for the City Councils all over Spain.. This ruling does not suppose that the tax is suppressed or that it should not be paid by vendors who do obtain a profit; Simply introduces an exception in the event that there is no such gain or increase in equity, because it understands that there is no taxable event and therefore it is unconstitutional to charge for it. In this way, vendors, resident or not in Spain, who have sold their home without benefits will not have to pay the IIVTNU as was the case until now. And those that did paid, will be entitled to claim. It must considered undue or improper income. If there has not been an increase in the value of the land, the taxable event that determines the existence of the tax debt does not occur, therefore, the payment of the tax constitutes an undue income. Therefore, the period for claiming the undue payment of IIVTNU is 4 years backwards, because there is no taxable event, and not because of an error In the calculation of the tax, which would have a much shorter term. Hence, since 17 February 2013. How to claim if you have paid IIVTNU bearing losses. The claim must be initiated by submitting a letter requesting rectification and refund of improper income to the City that has collected the tax, stating the amount paid. This sets in motion the administrative procedure. The Town Council must answer our letter. If accepts the claim, it ends there. If not, it will be necessary to file within the valid term an administrative appeal for a replacement, or directly an economic-administrative claim that must be resolved by an administrative court, which normally rejects it, but in this case is bound by constitutional jurisprudence. We’ll see. If you dismiss it, the administrative route would be finished. And then you should go to a real court (not one of the same administration, which tends to favor the town council). If the claim is not considered, the next step is to initiate an administrative-contentious procedure in the Tribunals, within two months, by filing an administrative-contentious appeal before the regional High Court of Justice. Which will resolve the matter inescapably applying the constitutional jurisprudence. By the way, to the refund of the unduly paid moneys when the tax quota was entered, the municipalities will have to add the interests of delay. If you entered the IIVTNU having suffered an asset loss, you can consult us for free advice and start the procedure of recovery of your money.